We had our first snowfall of the season yesterday … OK, depending on where you live, it was only a few wimpy flakes. 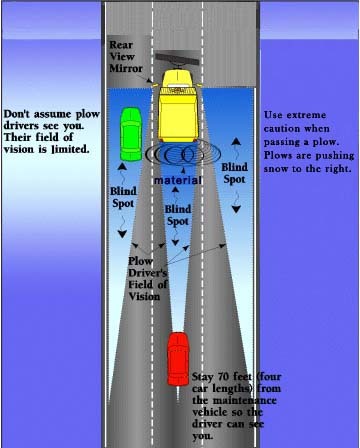 But take it as Mother Nature’s gentle advance warning: Winter is on it’s way – get your snowblower ready. If you have a snowblower, take it out of storage now and test it out – you don’t want to get caught short in the first storm. 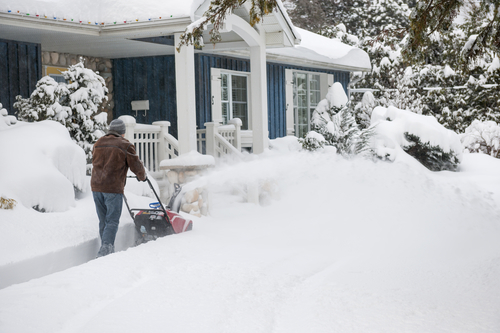 Popular Mechanics has some tips for how to start your snowblower – including some tips for blowers that are stubborn about starting. If you don’t have a snowblower, but you have one on your Santa wish list, this video offers snowblower buying guide tips from Consumer Reports. It’s interactive so you can skip to different chapters. 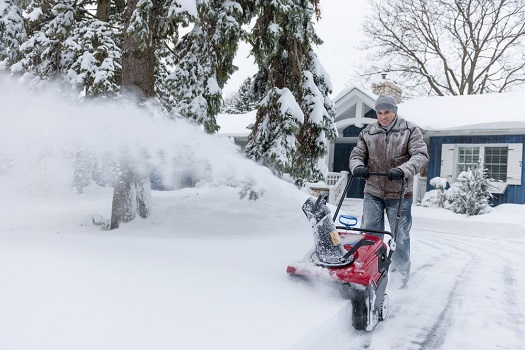 Learn about which type of snow blower best suits your property. The video breaks down what you need to know about size, power source – gas, battery or electric -, key features, trouble shooting, maintenance and how to ensure a smooth start-up each season. Every year, emergency rooms see about 6,000 injuries related to snow blower accidents, many of them amputations. Experts say that most snowblower injuries occur when snow is heavy, wet and deeper than 6 inches – those are conditions that lead to clogging in snow removal machines. Most injuries are hand injuries to the dominant hand. If you like to remove your snow the old-fashioned manual way, be sure to see our prior post on Snow shoveling 101: Best shovels, best techniques. After you’re done digging out from the snow today, are you safe in putting the shovels and scrapers away yet? Probably not – New England weather is full of surprises. Yesterday’s storm was billed as late in the season, but many New Englanders recall the infamous 1997 April Fool’s Day Blizzard, which deposited 25.4″ at Boston’s Logan Airport. And in 1977, on May 10, Worcester accumulated almost 13″ of snow, while Providence saw about 7″. And then there is the historic 1816, dubbed the year without summer, that recorded snow in June. In terms of snow totals overall, the 2014-2015 snow season is the record breaker, with 110.6 inches in Boston; Lowell and Worcester both came in at about 120 inches for the season. While yesterday’s storm proved less intense in some areas than predicted, there were hours of heavy, damaging wind and the coast was battered. Many communities saw power outages, and some people are coping with storm related property damage today. Claire Wilkinson of the Insurance Information Institute’s blog has a handy run-down: Winter Storm Damage? Insurers Have You Covered, discussing damages that are typically covered by auto policies and homeowners policies. The good news is that typical homeowners policies cover most home-related storm damage with a few exceptions. One exception is flooding, which would include melting snow seeping into the cellar. Flooding is not typically covered by Homeowners, you need a specific flood coverage, a separate policy. See our prior post: Does homeowners insurance cover flooding? If you do need to file a homeowners claim for storm damage, here’s some advice: Putting in a homeowners claim? … Talk your agent first! And also from the Insurance Information Institute, here is a brief overview of the steps for filing a home insurance claim. Snowmageddon: Is your roof at risk of collapse? After the unprecedented series of record-breaking snowstorms, we’re hearing some reports of roofs collapsing under the weight of the snow. 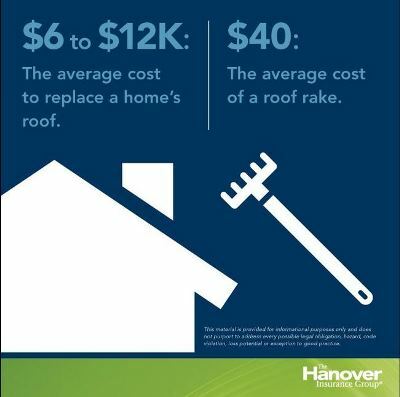 One of our insurance partners, The Hanover, posted this persuasive graphic on their Twitter feed comparing the cost of a roof replacement vs a roof rake. That’s pretty convincing, but how do you know if your home or business is at risk? 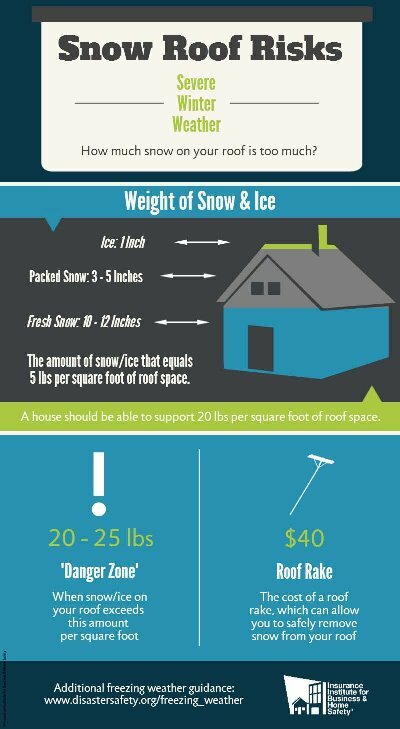 The Insurance Institute for Business & Home Safety has a great infographic (below) along with an informative post on Four Steps to Identify and Address Roof Risks from Heavy Snow – it offers tips for how to identify and assess your risk and how to address problems safely. It’s well worth a read, particularly since forecasters say there may be more snow in our future this week! “Shoveling lots of wet, heavy snow presents a real risk of heart attack if you’re not in shape to do it. And musculoskeletal injuries are even more common.” That’s a reminder from Lenny Bernstein, who offers excellent tips for shoveling safely in the Washington Post. The following short video accompanies his tips. 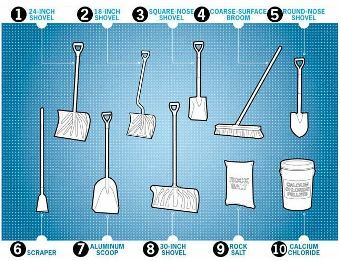 We also really like this great tip list from Roy Berendsohn of Popular Mechanics: 16 Cardinal Rules for Snow Shoveling. Roy also offers a handy guide to help you to choose the best tool for the type of conditions and the task: Which Snow Shovel Is the Best?